This Saturday sees the return to Football League Championship matters for the Swans after the international break, as league leaders Norwich City visit the Liberty Stadium. It was initially a slow start to Norwich’s season as they took just five points from their first six games. However, since the early part of September they have been in excellent form, losing just one league game in 12 matches (and winning their last five games), which has lifted them to the top of the Championship. The Canaries did some excellent transfer business in the summer bringing in Jordan Rhodes on loan from Sheffield Wednesday and Teemu Pukki on a free transfer from Brondby. The strike partnership has yielded 14 goals in the league thus far for Norwich, and Swansea’s defence will no doubt face a stern test this weekend. Swansea were 1-0 victors last time out at Bolton and this result has taken them up to 8th place. The Swans are also in good form winning three of their last four games, and the return of Wilfried Bony and Jefferson Montero before the international break was a welcome sight for Graham Potter and the Swansea City faithful. Take a look at all of the historical results between the two clubs, since their first meeting on Welsh soil back in 1920, on our Swansea City v Norwich City Head to Head Statistics page. Before Swansea’s last game against Bolton, we highlighted how Swansea were by far the leaders in the fair play league in the Championship as they now have only collected 14 yellow cards so far this season, compared to the next fairest team in the league who are Stoke City (I swear this is true!) who have 20 yellow cards. It does appear that some bookmakers don’t seem to have picked up on these stats and both Paddy Power and BetFair currently offer 5/6 (1.83) on Norwich to receive the first booking of the game this weekend. Norwich have received 29 yellow cards this season and this stat, together with that I would expect Swansea to start strongly as the home team leads me to think that these prices are good value. As discussed above, Norwich have an excellent attacking partnership in Pukki and Rhodes but Swansea’s defence has been exceptional this season and have for some time had the 2nd best defensive record in the division. Swansea are also beginning to find the goals at the Liberty Stadium and have scored 10 goals in their last four matches and I feel that Swansea can earn the three points and keep a clean sheet this weekend, even if against an excellent Norwich side. Swansea are priced up at 7/2 (4.50) to win the game to nil with 188Bet, but I like the longer odds of 13/1 (14.00) with BetVictor for a 2-0 home victory. 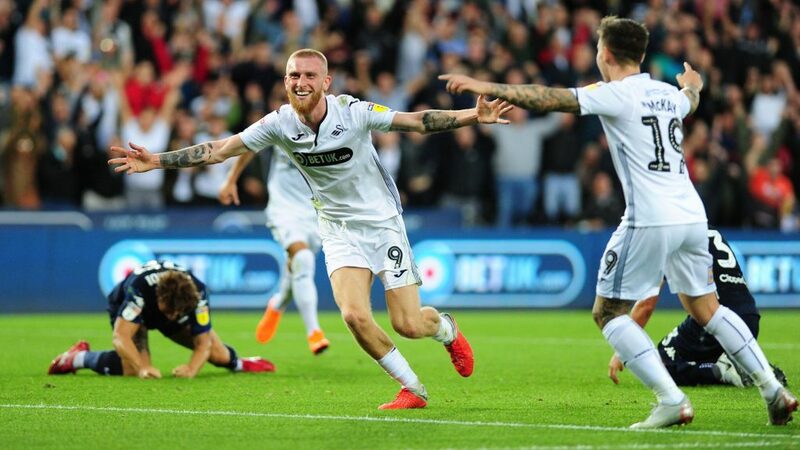 In terms of a goalscorer option, I would continue to stick with Oli McBurnie to get the first goal in the game and he is priced at 6/1 (7.00) with BoyleSports to achieve this. Since Oli made his debut in the Championship only two strikers, Neal Maupay of Brentford and Lewis Grabban of Nottm Forest, have scored more goals at this level than Oli and I’ll be backing him to add to that tally this weekend. Norwich to receive the first booking of the game at 5/6 (1.83) with Paddy Power and BetFair . Swansea to win 2-0 at 13/1 (14.00) with BetVictor. Oli McBurnie to be First Goalscorer at 6/1 (7.00) with BoyleSports. Bet £10 on Swansea City v Norwich City or other football matches and get £30 back by opening a new account at William Hill. You MUST enter the promotional code ‘C30’ when signing up as a new customer to claim this offer. Terms and Conditions apply.